Michigan Driver’s License Restoration and Clearance Appeals – Need your License Back? Everybody needs a driver’s license, and anyone who has been without one for a long time feels that need even more. 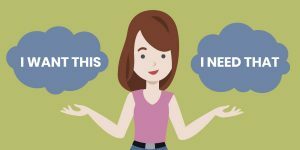 In this article, I want to briefly explain how needing a license, or not having had one for years, and/or just having stayed out of trouble for a long time, doesn’t matter at all when it comes to winning a driver’s license restoration or clearance appeal from the Michigan Secretary of State, and then look at the main requirement for getting it back – being sober. On average, I file and win nearly 200 driver’s license restoration appeals each year. Every week, my office is contacted by any number of people who explain how much they need a license, or how long they’ve been without one, or how long it has been since they last got in trouble. While it is understandable that those things matter to someone who can’t legally drive, those things do not matter AT ALL to the Secretary of State. As one hearing officer says, “everybody needs a license.” To the state, the key to getting back on the road is proving that you have quit drinking, and are a safe bet to never drink again. Similarly, a lot of people think that having stayed out of trouble for a long time makes it look like they’ve learned something, or have somehow become less “risky” than before. From the Secretary of State’s point of view, the only risk that matters is the risk that you will ever drink again. The state, for its part, could not care less about how much someone promises to never drink and drive. The simple reality is that the people who are the safest bet to never drink and drive are those who just do not drink. The idea that a person hasn’t had a DUI or other legal scrape in a long time, no matter how long, means nothing in the context of a license appeal. What you must prove in a license reinstatement case is that you will never drink again, not merely that you won’t drink and drive. In the world of license appeals, the notion that you might ever consume any amount of alcohol, ever again, means that you are considered an unacceptably high risk to drink and drive again. In other words, the legal line in the sand has been drawn at drinking, not drinking and driving. In my role as a Michigan driver’s license restoration lawyer, I find that the concept of sobriety is not always so clear to other people. The Secretary of State, for its part, wants to know, first off, when a person last consumed ANY alcohol. By law, you have to show a certain minimum period of complete abstinence (all sober people are truly abstinent, but not all abstinent people are truly sober). In practice, I won’t even touch a case unless the client will have at least 18 months of sobriety before we’re sitting in a hearing, and no matter how you cut it, the longer the better. Often enough though, if you really press, a person will admit that they might have had the occasional drink here or there, for what they’ll often describe as a special occasion. That’s not abstinence, and it’s certainly not any kind of sobriety. In a license appeal, there is no room for any alcohol consumption at all. Zip. Zero. None. Not even a drop. Ever. This isn’t confusing to people who have really become sober. When a person finally quits drinking for good, it’s never a half-measure. First off, no one quits drinking because it’s working out so well. People quit drinking because it’s causing problems, and, as a brilliant old saying goes, “anything that causes a problem IS a problem.” Getting sober is a life-changing process. There’s no mistaking it, and those who have undergone the profound transformation of going from drinker to non-drinker know that there is no room for anything like the “occasional” drink. Being sober is like being pregnant; either you are, or you aren’t. There are some people who do manage cut back on their drinking for a while here and there, but since they don’t stop completely, that means they don’t make all the life changes that come with completely severing one’s relationship to alcohol, like ditching the drinking friends. Until people really quit for good, they don’t see alcohol as a kind of enemy (or, as they say in AA, “cunning, baffling and powerful”) and don’t understand the need to stay away from activities that involve a lot of drinking. For truly sober people, these occasions quickly loses any threat as a source of temptation and becomes, instead, a source of dread; who wants to be around a bunch of sloppy, slurring drunks? Without making these changes, they never actually reap the benefits of real sobriety. This doesn’t happen, though, unless a person genuinely adopts an alcohol-free lifestyle. Even if someone managed to go from being a daily drinker to having a single drink once or twice a year (and that’s all but impossible), he or she would still not be genuinely sober, and would therefore never experience nor understand what true sobriety is all about. When I open an email and the writer begins by explaining how long they’ve been without a license, and how long ago they picked up their last DUI, I can’t help but wonder if I’ll get to a part where they explain how long they’ve been sober. Usually (but not always), those who read and learn about the license restoration process will mention how long it’s been since they last drank, because they understand the importance of sobriety. It shouldn’t come a surprise that if an email just goes on and on about how long a person has not had a license and how much they need one, without making a reference to not drinking anymore, chances are the person hasn’t fully committed to sobriety. The straight truth is that pretty much everybody does need a license. Everybody needs more money, too, but that has nothing to do with how you get it. As I noted before, a person who has absolutely no need for a license, but can prove he or she has been sober for some time, is a viable candidate to win a license appeal, because “needing” a license has nothing to do with being eligible to actually win it back. The same goes for staying out of trouble; maybe someone has been just been lucky. As I noted earlier, the key to winning a restoration or clearance case is proving that you have quit drinking and are a safe bet to never drink again. There may be something of an irony here. It’s quite possible that absolutely none of what I’ve written in this piece is of any interest to someone who is genuinely sober, because they just “get” it. A sober person certainly doesn’t need my help to understand how his or her life has changed for the better since they quit drinking. In the same way, but for different reasons, a person who hasn’t yet had enough, and still wants to drink, will likely have little interest in what I’ve said here. Yet if I can simply make clear that being able to win your license back has everything to do with proving how you’ve quit drinking and how your life has changed since, and nothing to do with how badly you need to drive, or how long you’ve stayed out of legal trouble, then I will have made my point well enough. If you are looking for a lawyer to win your license back, or to obtain the clearance of a Michigan hold on your driving record so that you can get a license in another state, do your homework, read articles like this, then check around. Ask questions. For my part, I can get you back on the road, no matter where you live. All of my consultations are confidential, and done over the phone, right when you call. You can reach my office Monday through Friday, from 8:30 a.m. until 5:00 p.m. (EST) at 586-465-1980. We’re here to help.